Hertsmere residents who are looking to get active have a unique opportunity to try a new, fast growing sport at a taster session. The Pickleball sessions will be taking place at Bushey Grove Leisure Centre on Aldenham Road between 1-2pm starting on Thursday 10 January for six weeks and are aimed at older adults. The game of Pickleball was invented in 1965 on Bainbridge Island in Washington and is similar to tennis and badminton, but instead of traditional racquets, players hit a ball over a net using paddles made from plywood. The game is named after the Pickle boats familiar to English yachting. The court on which the game is played is similar to a badminton court and measures 20ftx44ft, while the ball is served under arm from behind the baseline. Point scoring is similar to tennis and play ends when one side commits a fault, such as hitting the ball into the net. 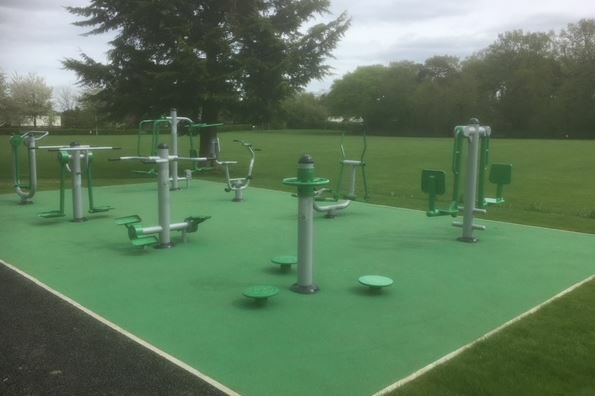 Councillor Caroline Clapper, Portfolio Holder for Leisure, Culture and Health, said: “This is a unique opportunity for Hertsmere residents to have a go at a new sport or for those who would like to lead a more active lifestyle to try a game that is good, healthy fun and easy to understand. Sessions cost just £3.50 and can be booked at reception or by calling 01923 470140. To view a video on Pickleball, visit https://binged.it/2IattSm. Walking Netball is a slower version of the game, it is netball, but at a walking pace. The game has been designed so that anyone can play it regardless of age or fitness level. From those who have dropped out of the sport they love due to serious injury, to those who believed they had hung up their netball trainers many years ago, it really is for everyone. Women the length of the country have begun playing the game of Walking Netball for the fun, laughter and camaraderie the social session brings, as much as the health benefits on offer. It can give those who feel isolated an outlet, provide an activity for those who don’t deem themselves fit enough to run anymore and offer a stepping stone for those looking for a pathway back into netball. Lynda (71) says, whilst listening to the radio, I heard an advert about walking netball sessions starting up to get adults back into fitness and they mentioned that it would also be a great option for older adults. After a search on the internet, I discovered that there would be session at the Furzefield Leisure Centre which is local to me. The session keeps me active and it’s lovely to meet and socialise with people of all ages. I feel the walking netball session is a great activity to take part in because a lot of people are wary about joining a gym, especially if they go by themselves, whereas this session is in a group and has a structured warm up before the main activity, so we all go away feeling like we’ve had a good workout. 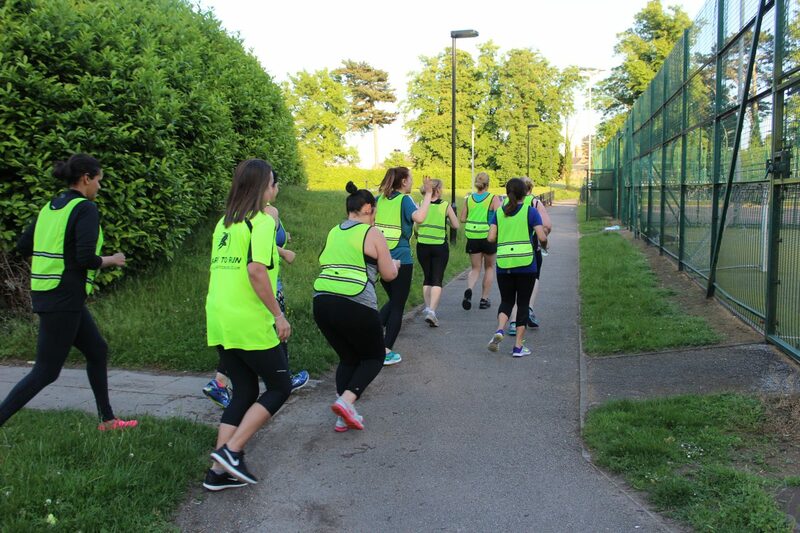 Melissa (39) says, I found out about the walking netball session through the potters bar mums page on Facebook and thought I’d give it a try. Not only do I enjoy the session and get a good workout that isn’t too intense, there’s also a lovely group of women who attend so the socialising is great. The session suits me very well as my son is at nursery, and it’s a great alternative to the gym. The Pickleball session will be taking place at Furzefield Centre in Potters Bar between 10-11am on Monday 23 April and are aimed at older adults. Following the sessions, participants will be invited to have a free drink in the café. The game of Pickleball was invented in 1965 on Bainbridge Island in Washington and is similar to tennis and badminton, but instead of traditional racquets, players hit a ball over a net using paddles made from plywood. The game is named after the Pickle boats familiar to English yachting. The court on which the game is played is similar to a badminton court and measures 20ftx44ft, while the ball is served under arm from behind the baseline. Taster sessions cost £5 and can be booked on the apex multisports website apex360.co.uk/bookings. The session is being launched as part of the Older Adults month in the Year of Physical Activity, anyone who uses code HYOPA2018 will receive their taster session for FREE. We have two new Learn to Run courses starting in October. This eight week course is aimed at total beginners. You will learn all the key skills and techniques for running. This course is perfect for those of you who have always wanted to try running but have felt you were not fit enough, fast enough or strong enough. This course will safely and gently introduce you to learning how to run in a supportive group environment. For example, in the first week you will only run 60 seconds at a time, making it perfect for those who have never run before, and eventually conditions you to run 5k or maybe even more. We encourage everyone to attend the whole eight weeks as the course is very progressive. Booking: To book your place please email community.services@hertsmere.gov.uk and we will send you the booking form and payment details.